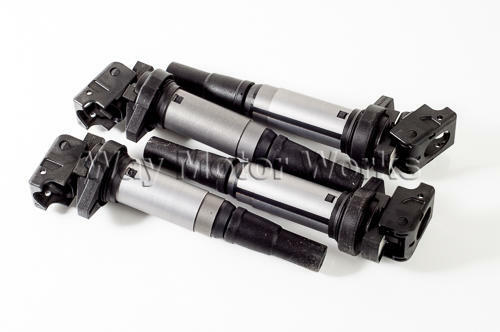 Direct Ignition Coil for R55 R56 R57 R58 R59 R60 R61 MINI Cooper and Cooper S. The N12, N14, N16, and N18 engines in the newer MINIs have individual direct ignition coils for each cylinder these are the replacements when you need one. As the MINI gets older we've found these can short out, and rust as moisture builds up on them. 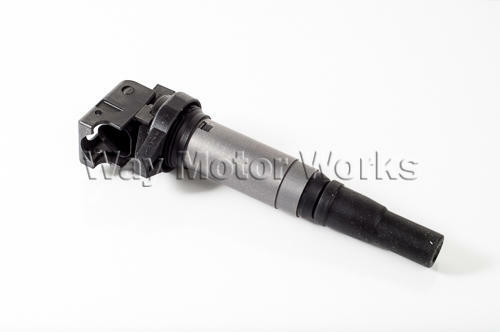 These Ignition coils sold by WMW are Genuine MINI parts, not aftermarket. As WMW has found the cheaper aftermarket coils are not very reliable, and can induce to much voltage back to the DME and damage it. Not worth it to save $10-20 as a DME can be hundreds of dollars or more. Also WMW has found that aftermarket coils don't produce the same output across the plug as these original MINI coils. If you don't believe us get someone with an old school Ignition Scope to test the output of original coils vs aftermarket it will shock you. The VW community has huge issues with going with aftermarket coils too. Please select options below as the coils do vary based on model and engine.